Sounds Air are Scheduled Passenger and Charter Airline flying daily flights through New Zealand. 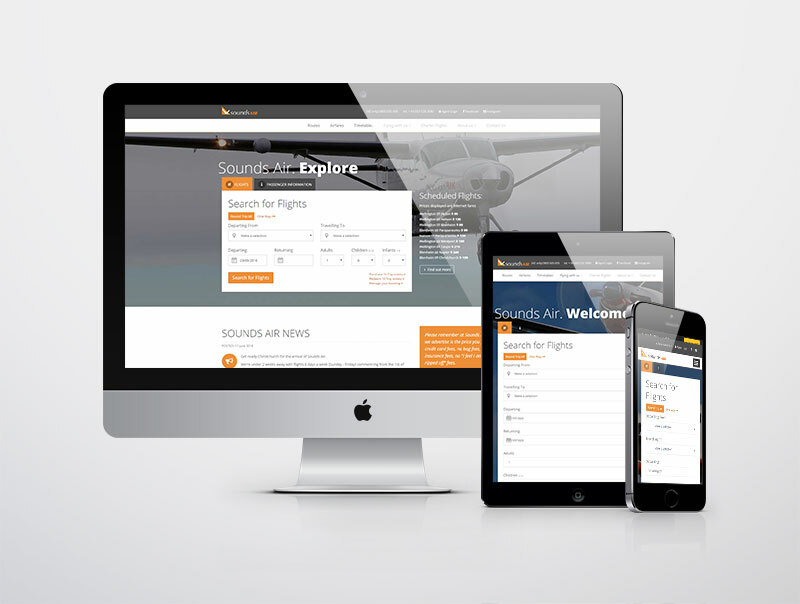 Sounds Air required a new look website with an integrated Internet Booking Engine connecting through to Takeflite. The Takeflite team designed and built the Sounds Air website and it is now serving passengers 24 hours a day.